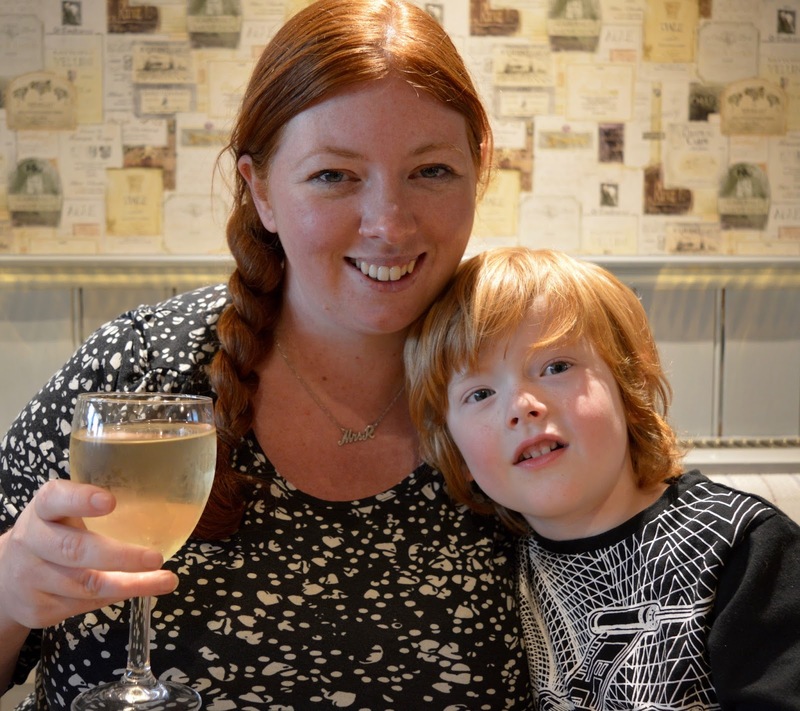 During our recent stay at the lovely Coach House Bed and Breakfast near Seahouses, we booked a table at The Craster Arms in nearby Beadnell on the advice of Tracey who runs the popular website Northumberland Eats alongside the Coach House Bed and Breakfast. 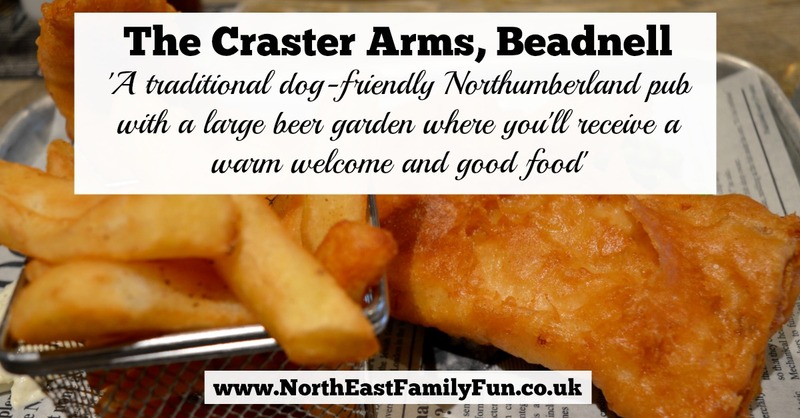 Top Tip: If you sign up to the Northumberland Eats Newsletter here, you'll receive a 15% off voucher to use at The Craster Arms. The Craster Arms is what I'd describe as a lovely country pub. 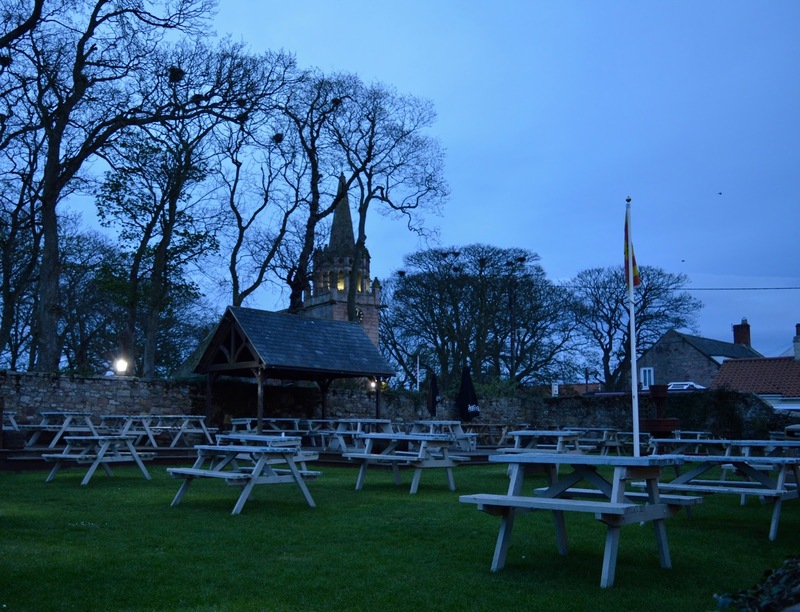 Situated in a sleepy fishing village, we parked in their on-site car park and I was immediately impressed with their huge beer garden. It looks fantastic and I can't wait to return in the summer for a nice drink in the sunshine when we're out and about. 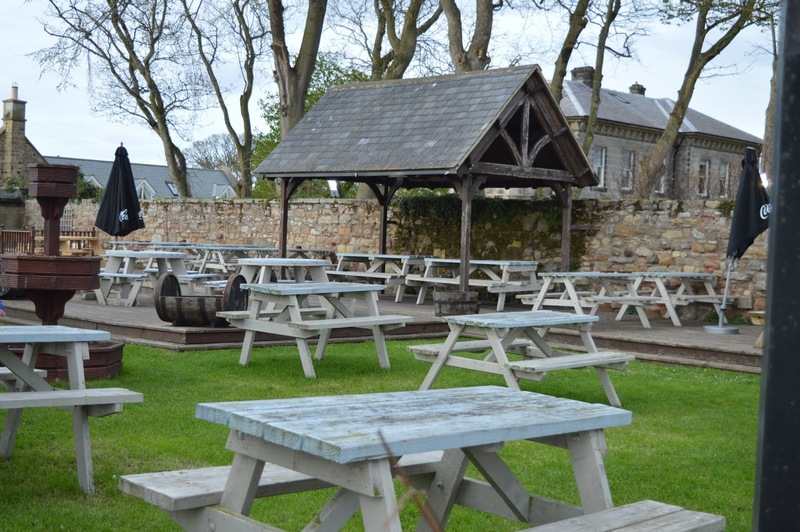 I'll definitely add The Craster Arms to my list of family-friendly beer gardens when I finally get around to updating the list! The Craster Arms is certainly popular and we're pleased we booked a table on what we expected to be a quiet Tuesday evening. 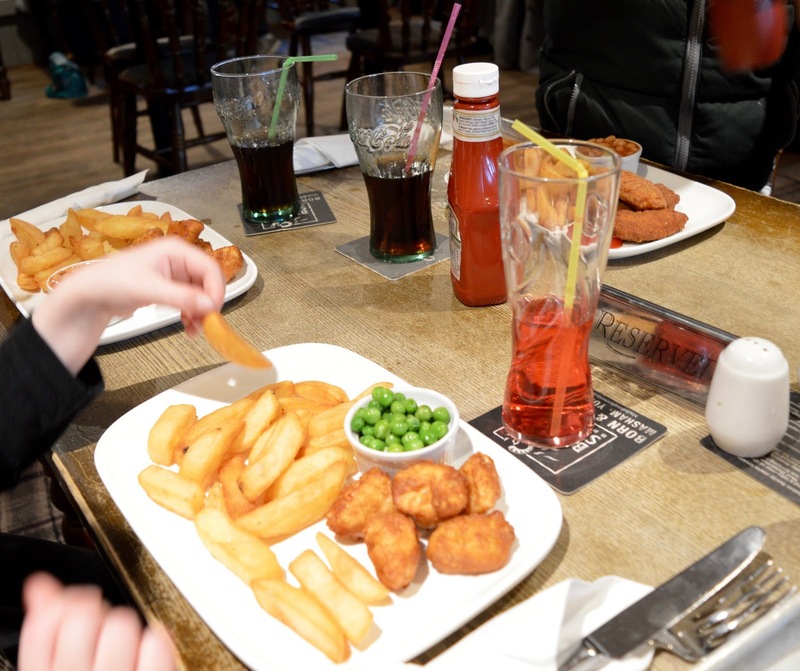 The pub was packed with families enjoying a meal together and dogs are welcome in the bar too which looks like it's very popular with both holiday makers and locals. There are a range of local ales available behind the bar and you can try before you buy. Steve was happy with his pint (as recommended by the barman) and as I'm a creature of habit, of course I opted for my normal Sauvignon Blanc. 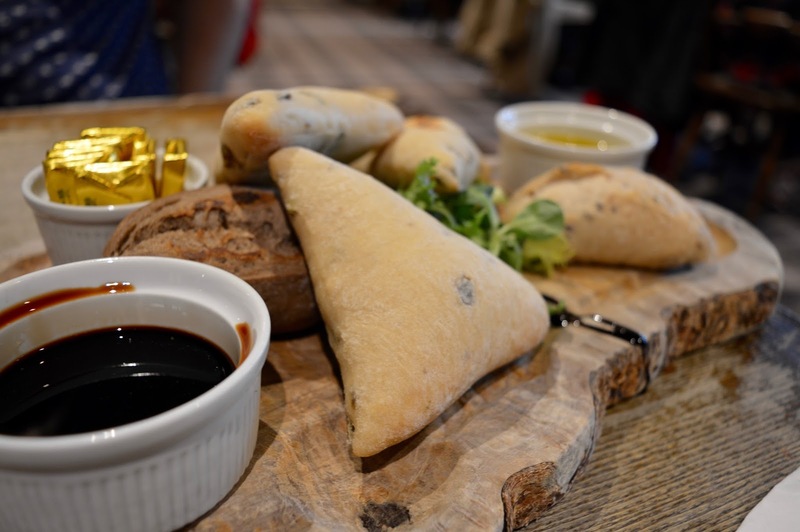 We were planning on ordering a main course and dessert (Tracey had recommended their Sundaes) but we just couldn't resist a bread basket to share to begin our meal. At £2.75 it was a steal and much better than a few of the bread baskets we've been offered lately. There was enough bread for one piece each and it was served warm, fresh from the oven. Delicious. Onto our mains and the menu is very much what you'd expect from a good country pub. 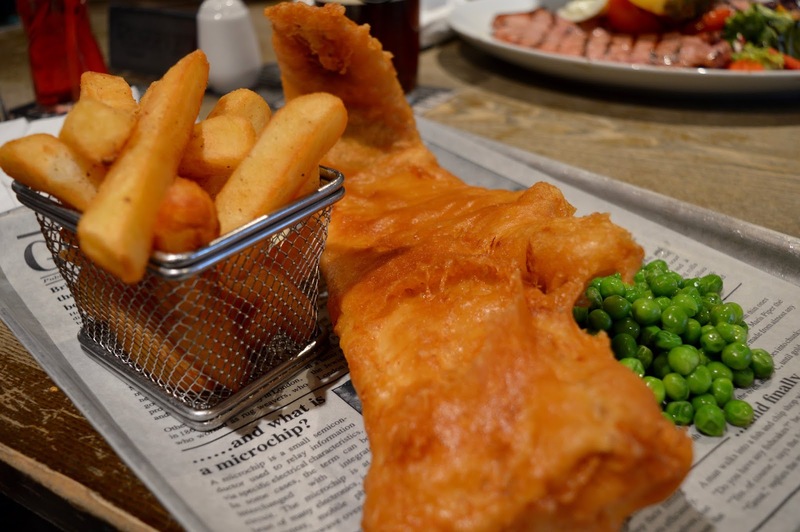 Everything is homemade and locally sourced where possible and there are lots of pub classics such as steak pie or scampi and chips to choose from. Steve ordered the grilled gammon steak for £12.50 (also served with a side of chips not pictured) which was accompanied with tomato, grilled fresh pineapple and a perfectly cooked free range egg. His dish was generous and hit the spot. I can't believe I only really started enjoying fish and chips around 7 years ago, before this time I had never tried them. It's one of my favourite dishes now when done well (nothing more disappointing than when you're served frozen fish and chips in a pub) and The Craster Arms did not disappoint. 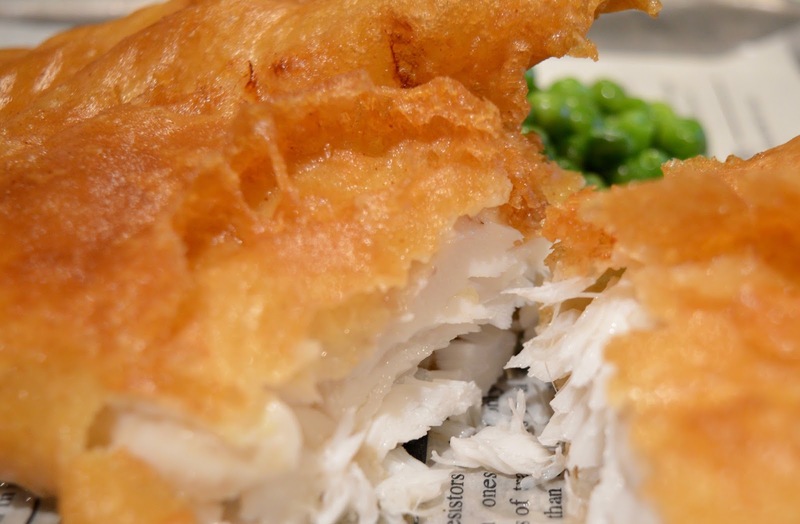 The giant piece of cod is coated in beer batter and served with a basket of homemade chips and house tartar sauce plus garden/mushy peas. The fish was perfect and at £11.95, I'd definitely recommend. 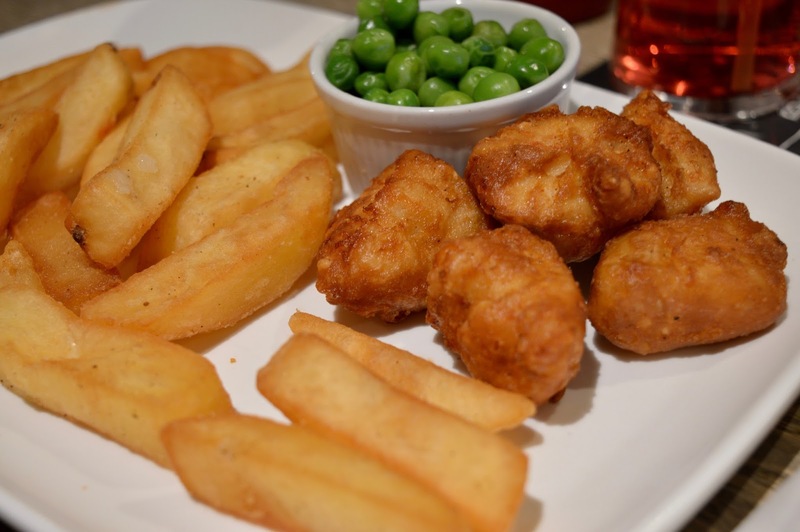 Children aren't left out and can choose from Chicken Nuggets, Scampi, Burger, Fish Fingers, Spicy Chicken Fillets or Sausage served with chips/new potatoes and peas/beans for £5.50. Harry, Heidi and Jack were more than happy with their dinner. Service was friendly and quick and the atmosphere in the pub was lovely - definitely one to pop into on your travels. We really did want to try a dessert but after our epic main courses we had to decline as we were stuffed to the brim! I'm sure the kids will try an Ice Cream sundae when we return in the summer. It's worth noting that The Craster Arms has a packed schedule of events ranging from live music at the weekends to pub quizzes. Special diets can be catered for and you can also stay the night in one of their en-suite bedrooms. 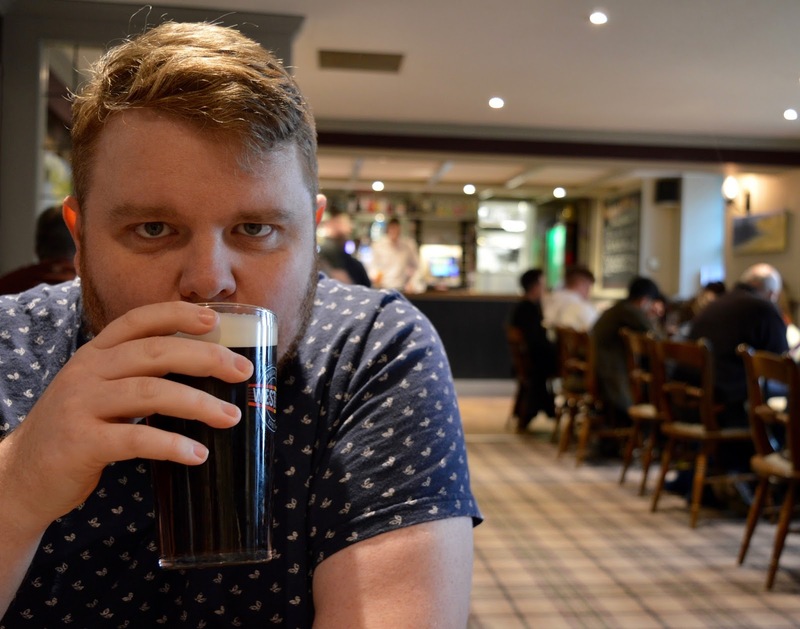 Our friendly barman was telling us all about the pub's beer festivals in the summer which sound fantastic. I'll be keeping my eyes peeled for this year's dates. 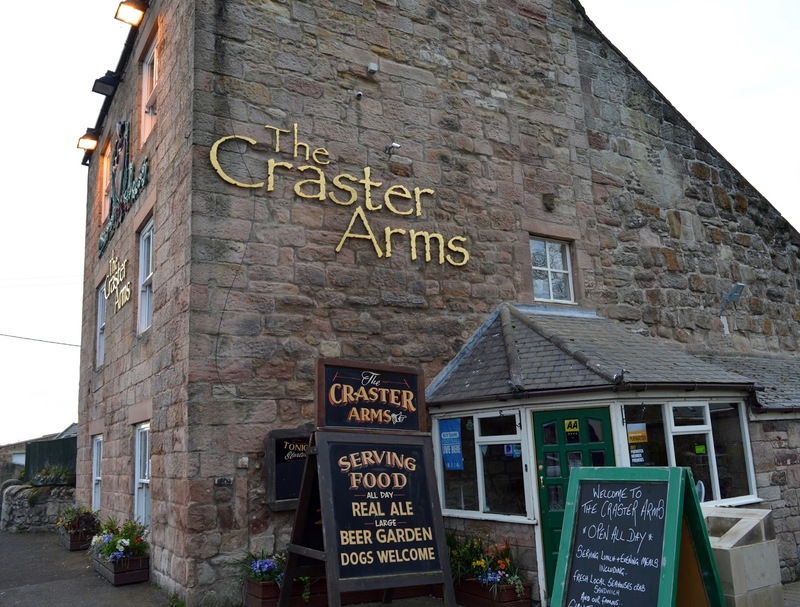 You can find The Craster Arms in Beadnell - their postcode is NE67 5AX. 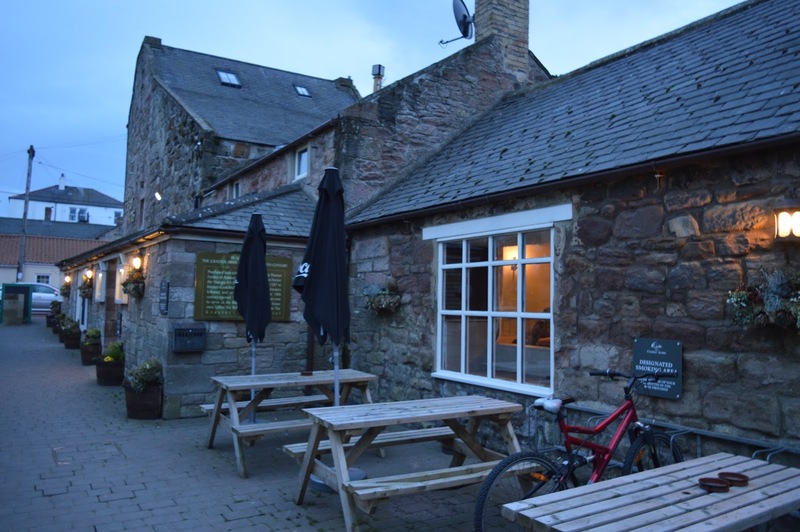 The pub is ideally located for lunch//dinner/drinks when visiting nearby Bamburgh, Seahouses, Budle or Low Newton by the Sea. Call 01665 720 272 to make a reservation and visit The Craster Arm's website for menu details, events and directions. What a gorgeous place to eat. The fish and chips look absolutely amazing! I've wanted to visit here for so long. Their food always looks so good when they post photos on Twitter and it seems like those were pretty accurate! Sam your blog is going to be my bible for recommendations this summer! Will have to check Craster Arms out. What a lush place! We went up the coast and stopped at the Ship Inn in Low Newton! Need to head up the coast more as there are some gems of places!